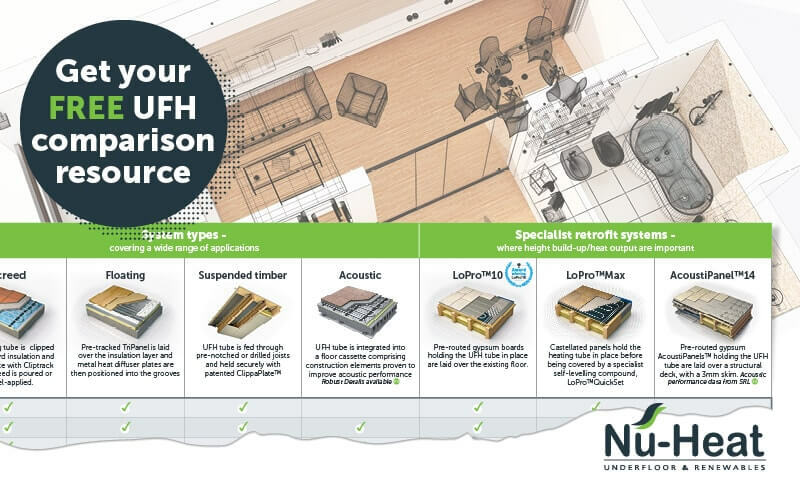 Make short work of selecting the right solution with Nu-Heat’s UFH comparison resource. Compare project suitability, heat outputs, installation schedules and total height build-up at a glance. Complete your details and we’ll send you a free, laminated, reference copy in the post*.